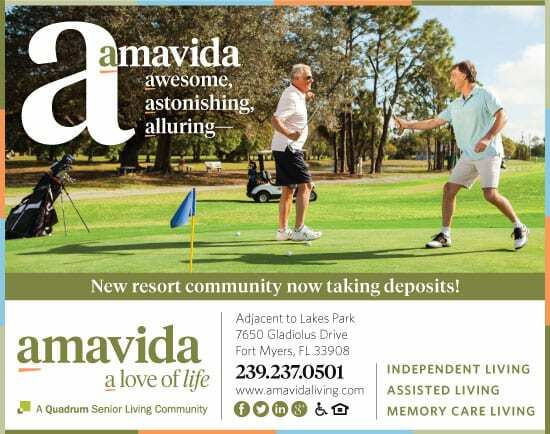 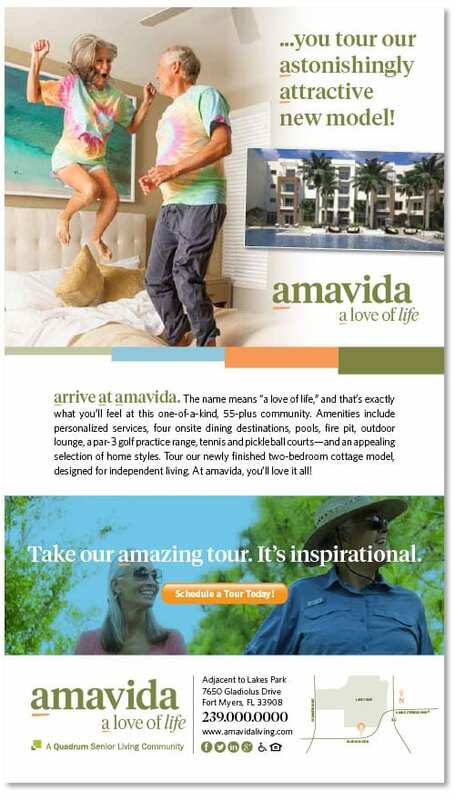 Amavida, a 32-acre, resort-style senior living community in Fort Myers, Florida is designed for those who have a love of life. 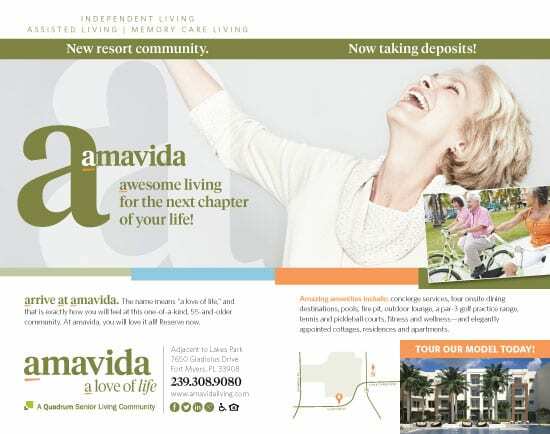 It features maintenance-free cottages, residences, apartments and suites for independent living, assisted living and memory care. 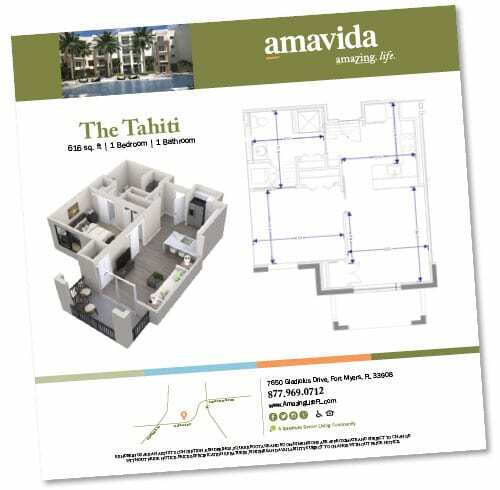 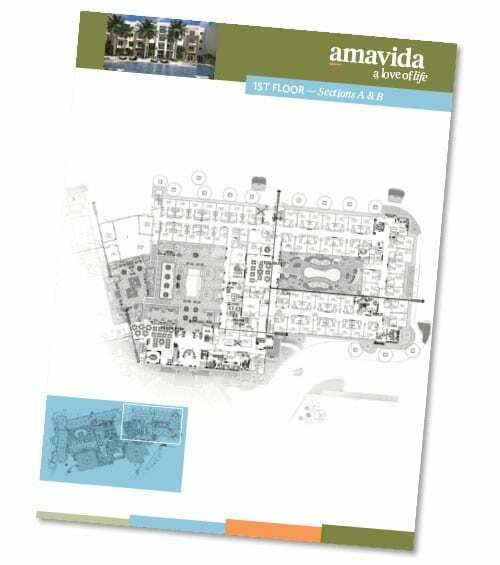 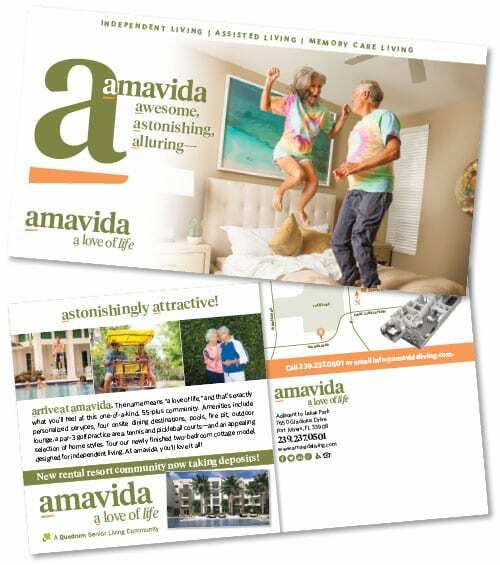 Amavida boasts exceptional amenities including a variety of pools, restaurants, bistros, lounges and outdoor dining areas; the aquaVida clubhouse, tennis courts, art studio, library, theater, as well as a comprehensive wellness center. 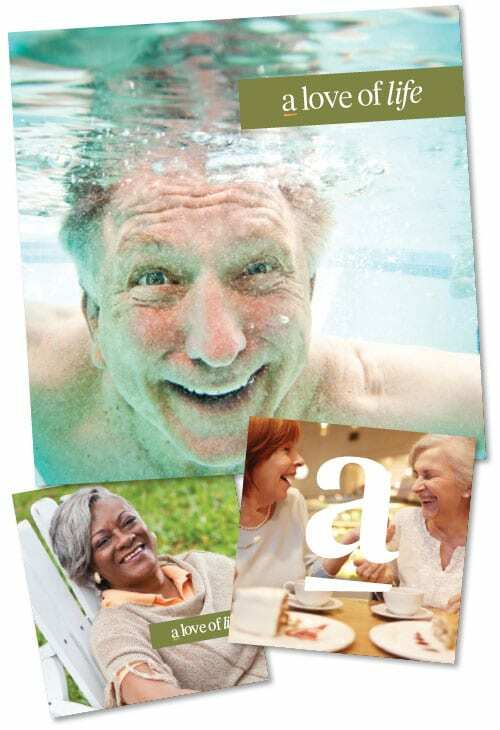 Spiro & Associates provides the gamut of marketing communications services and creative, including: TV, online video, direct mail, print, corporate collateral, signage, eblasts, and more.